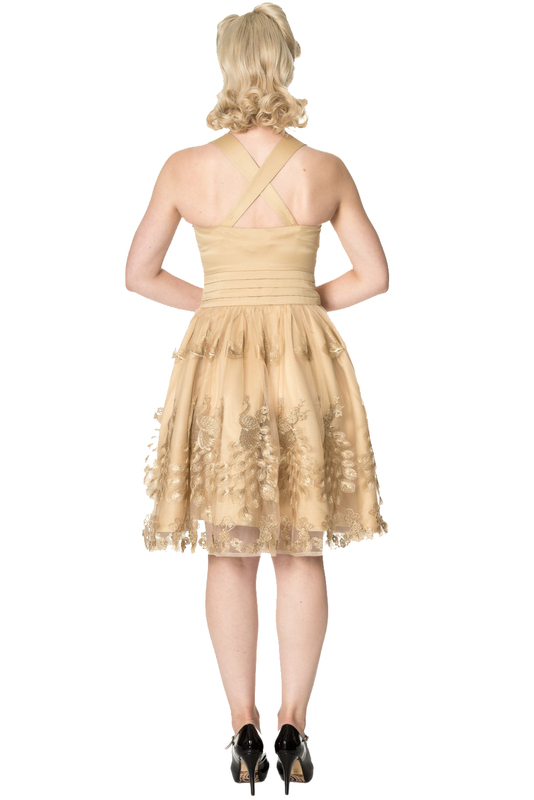 Meet the new Dancing Days Moonlight Escape Gold Prom Dress in UK Sizes 8-16. If you're looking for a special dress with a vintage twist for your next event, then this Dancing Days Moonlight Escape Gold Prom Dress will entice envy and admiration. This Dancing Days Moonlight Escape Gold Prom Dress is crafted from a stretchy material providing comfort and support for a perfect figure flattering cut.